Job Assurance: We Help our certified students Get JOB by sending them interviews. lots of recruitment companies contacts us for Tableau profiles. Tableau is a powerful and fastest growing data visualization tool used for data science and in the Business Intelligence Industry. It helps in simplifying raw data into the very easily understandable format. Data analysis is very fast with Tableau and the visualizations created are in the form of interactive and shareable dashboards and worksheets. Tableau also comes with real-time data analytics capabilities and cloud support. It comes with tools that allow drilling down data and seeing the impact in a visual format that can be easily understood by any individual. · Tableau Reader: Let you read files saved in Tableau Desktop. · Tableau Public: For journalists or anyone to publish interactive data online. The Tableau training in Bangalore is provided by professional team who are versatile in solving the various related queries. 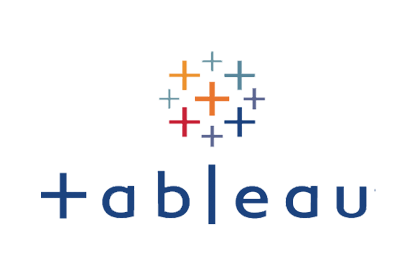 The Tableau Training in Bangalore is offered from these skilled experts in the field of Tableau technology. However, we are also apt in providing Tableau Online Classes and Tableau Corporate training. It is not academic aspects that we deal in; we merge the professional sector with the theoretical knowledge in these training classes. Thus, it is the hard work and smart work of Ascent Institute that has resulted in a faster ROI. Why is Data Visualization needed, how to make sense out of numbers, Uses of Tableau, Installation, Architecture, and Features of Tableau. Exporting Data, Connecting Sheets, Loading into Tableau visualization engine. Making sense out of the basic visualizations like Text Tables, Bar, Line, Pie charts, basic maps and interpreting the same. Highlight Tables, Heat Maps, Circle Plots, Side by Side Bars, Continues Lines, Scatter Plots, Dual Charts, Area Charts, Tree Maps. Calculated Metrics, Sorting, Filtering, Totals and Sub Totals, Various Aggregated Measures, Percentages, Data Spotlighting, Summary Card. Date and time functions, String Functions and logical functions, Data Items, Data behind your views, Hierarchies, Sets, Groups, Bins. Dual Charts, Dual Axis, Combination charts, Gantt Charts for activity tracking, Motion Charts, Box and Whisker Plots, Reference Lines, Reference Bands, Pareto Analysis, Water Fall Charts, Market Basket Analysis. Quick Table Calculations, Custom Table Calculations, YTD, Parallel Period, Moving Averages, Running totals, Window Averages, Trend Lines and Predictive Models. Reach out to us for more information on Tablealu course training & certification course. We are located at BTM in Bangalore.